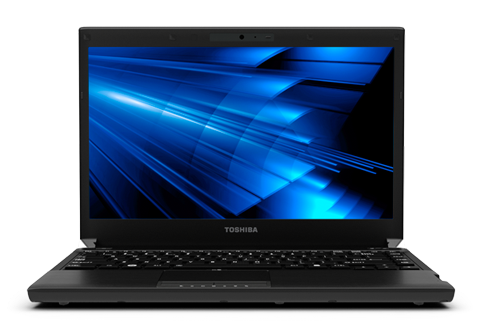 When looking at the video for a laptop there are four items to look over: screen size, resolution, screen type and graphics processor. For most people only the screen size and resolution are all that will really matter. The graphics processor really only tends to make a difference for those looking to possibly do some mobile gaming or high definition video. Pretty much all laptops use some form of backlit active matrix display to allow for bright fast displays capable of video playback. Laptop screens have a wide range of sizes depending upon the type of laptop system that you are looking at. Larger screens provide an easier to view screen such as a desktop replacement. Ultraportables tend to have smaller screens allowing for a reduced size for increased portability. Many systems now offer a wide aspect ratio screen either for a more cinematic display or to reduce the size of the screen in the depth dimension for a smaller system size. Thin and Light: 14" to 16"
Desktop Replacement: 17" to 19"
Screen resolution or native resolution is the number of pixels on the display listed in the number across the screen by the number down the screen. Laptop displays look best when the graphics are run at this native resolution. While it is possible to run at a lower resolution, doing so creates either a reduced image on the screen with a black border or an extrapolated display. An extrapolated display tends to cause reduced image clarity as the system has to use multiple pixels to try and display how a single pixel would normally appear. While the screen size and resolution are the primary features that will be mentioned by manufacturers and retailers, the screen type can also make a huge difference in how the video performs. When I refer to the type, it really means what technology is used for the LCD panel and the coating that is used over the screen. There are two basic technologies that are used in LCD panels for laptops right now. They are TN and IPS. TN panels are the most common as they are the least expensive and also tend to offer faster refresh rates. They do have disadvantages including narrow viewing angles and colors. Now, the viewing angles impact how well the screen color and brightness looks the further off center you viewing the panel at. Color refers to the color gamut or total number of colors that the screen can display. TN panels offer less overall color but this typically only matters for graphics designers. For those wanting higher color and viewing angles, IPS does both of these better but they tend to cost more and have slower refresh rates and are not as suited for gaming or fast video. The majority of consumer laptops tend to use glossy coatings over the LCD panels. This offers a greater level of color and brightness to come through to the viewer. The downside is that they are more difficult to use in certain light such as outdoors without producing a large amount of glare. They do look great in home environments where it is easier to control glare. While most consumer laptops feature glossy coatings, corporate style laptops generally feature anti-glare or matte coatings. Thhey help reduce the amount of external light from reflecting on the screen making them much better for office lighting or outdoors. The downside is that the contrast and brightness tend to be a bit more muted on these displays. So, why is this important? Basically think of common areas where you will use a laptop. If they might produce a lot of glare, you should opt for something with an anti-glare coating if possible. In the past, graphics processors have not been much of an issue for consumer laptops. The majority of users were not doing much graphically that required 3D graphics or accelerated video. This has changed as more and more people use their laptops as their exclusive machine. Recent advancements in integrated graphics have made it less necessary to have a dedicated graphics processor but they can still be beneficial. The primary reasons for having a dedicated graphics processor is either for 3D graphics (gaming or multimedia) and accelerating non-gaming applications such as Photoshop. In addition to these processors, AMD and NVIDIA both have technologies that can allow certain graphics processors to run in pairs for additional performance. AMD's technology is referred to as CrossFireX while NVIDIA's is SLI. While the performance is increased, battery life for such laptops is greatly reduced due to the extra power consumption.